Different stores have their own different receipts and use their own logos that have been known and recognized by a lot of people. In this article, we will be focusing on a special kind of receipt that will surely catch your attention. This receipt is called a tooth fairy receipt. 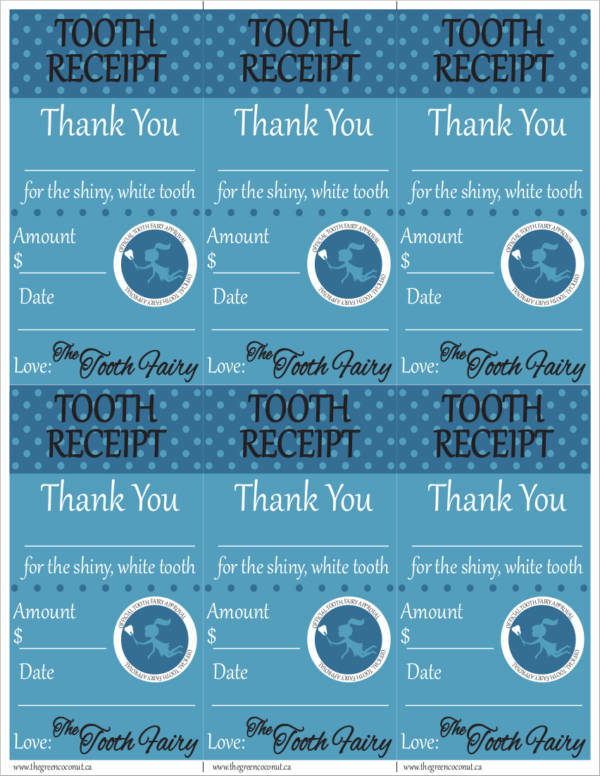 Never heard of a tooth fairy receipt before? Then that is more reason for you to check out our receipt samples and some good to know information that we have gathered below. How Did Tooth Fairies Come into Existence? 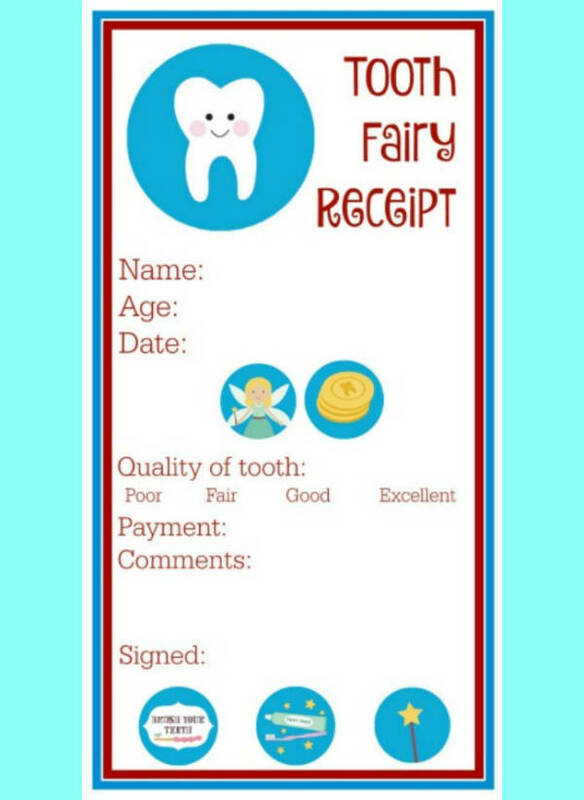 Tooth fairy receipts are dental receipts that are designed and embellished with tooth fairy stuff. 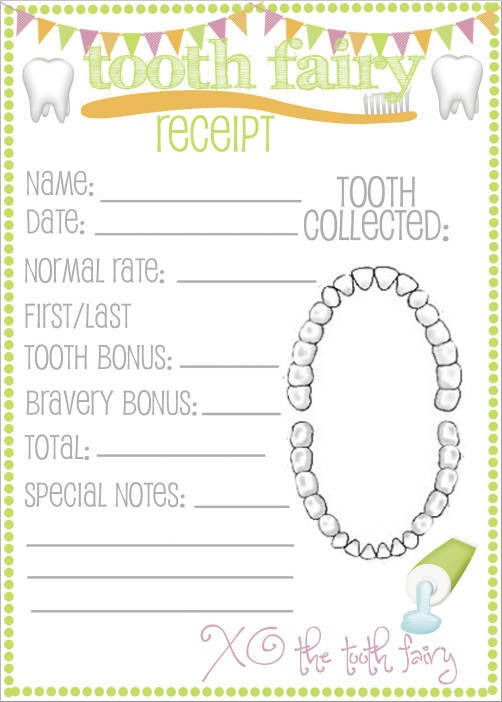 The design of the receipt varies depending on the preferred design of the dentist. 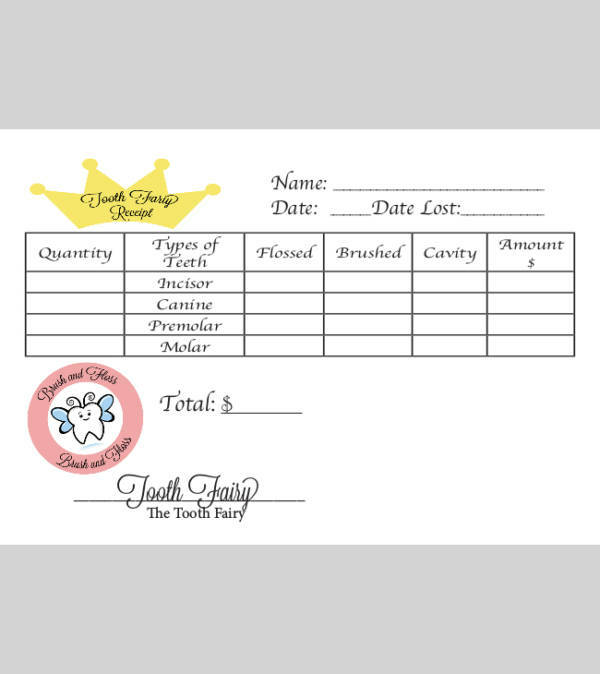 Tooth fairy receipts are intended to be given by the modern-day tooth fairies to little children who have just had their first tooth extracted or removed. This serves as a form of payment receipt for the extracted tooth. To alleviate children’s anxiety and fear of the pain of losing their teeth, they are told stories about the tooth fairy. 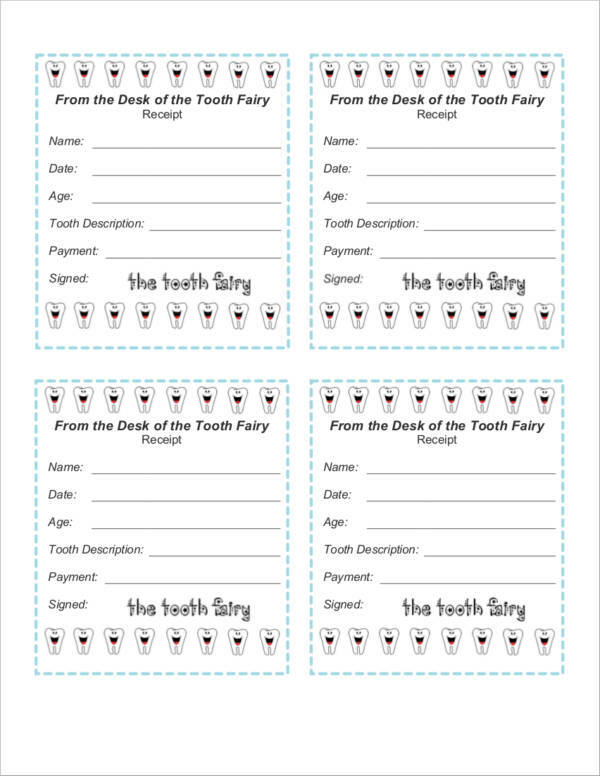 And to make the story even more believable and so as to gain the trust of children, dentists provide tooth fairy receipts after the extraction. What Is the Purpose of a Receipt? 3. A receipt that is kept by companies can help in the process of auditing and accounting. Having receipt copies can make it easier for the management to compute their tax responsibilities as well as to regulate the flow of information about sold items and other reports related to it. Know more about receipts by checking out free samples of general receipts, as well as downloading blank sales receipts. Checking out these samples will help further your understanding about receipts. 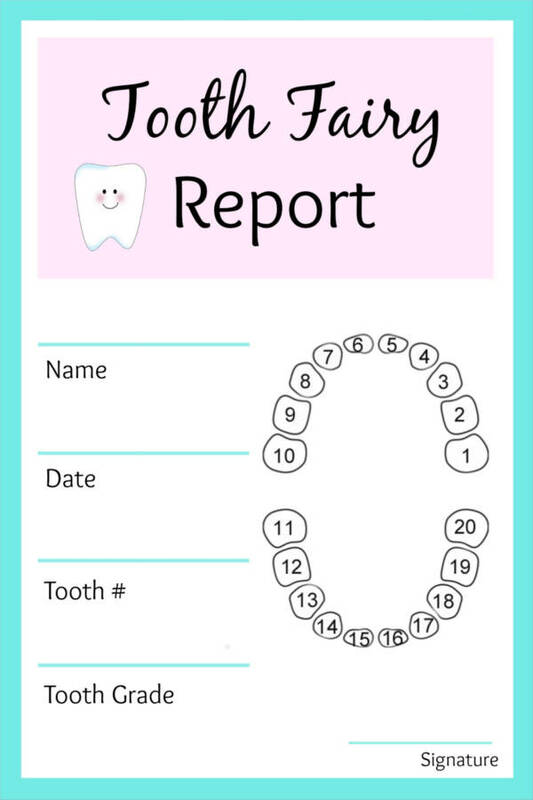 When you look at the cute and adorable tooth fairy receipt samples and templates, you might ask yourself if they are legit. Some people would think that it is a joke and some would just think that it is child’s play. Seeing fairies and some other forms of mythical characters in a receipt is indeed unusual and it would really be questionable on why they are being used. 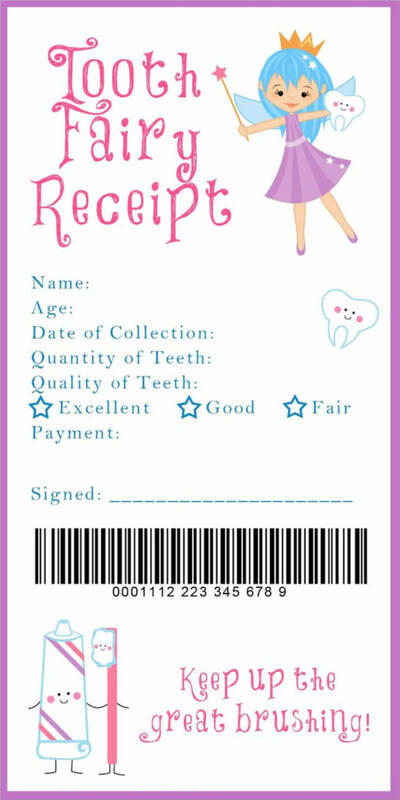 Come on, why use the usual, ordinary, plain, and boring dental receipts just like a normal dental clinic? 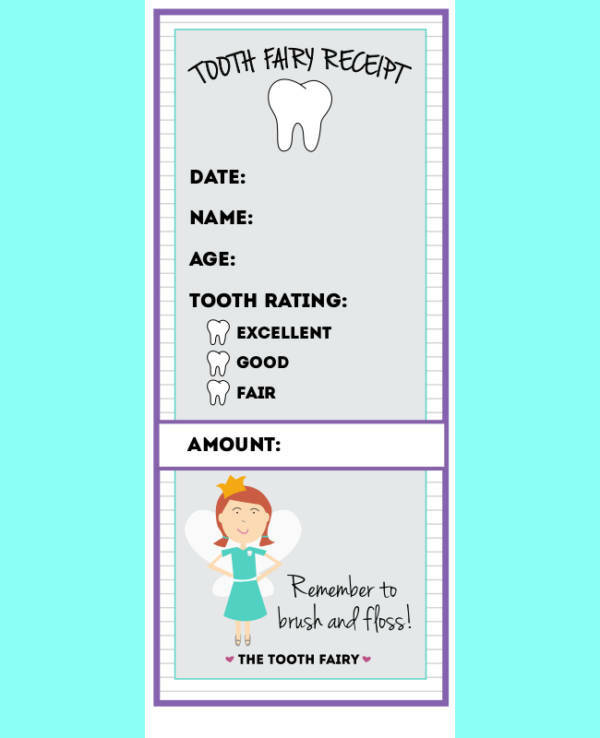 Well, there are advantages to using tooth fairy receipts and we have made a list of them below. 5. 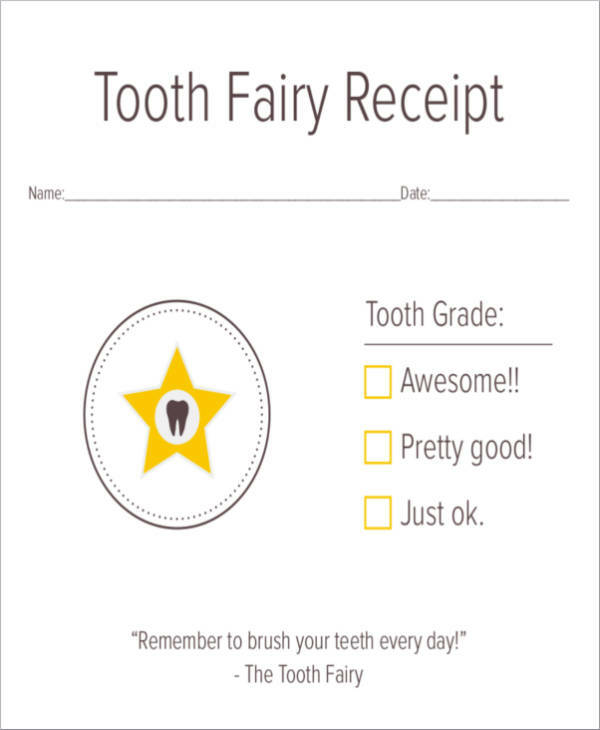 Tooth fairy receipts motivate children to take care of their teeth. Positive reinforcements work just like magic. Giving a child reward for the things that they are good at motivates them to do them even better. 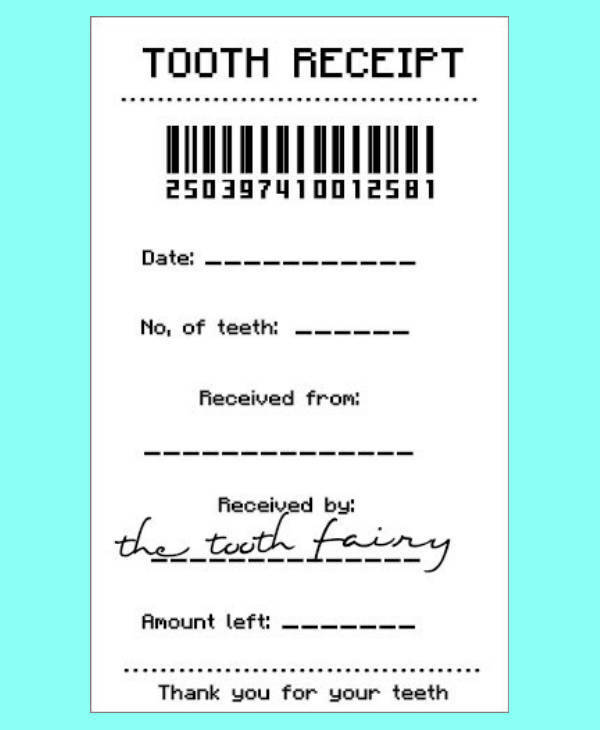 Tooth fairy receipts include details of the condition of a child’s teeth. The better the condition of their teeth, the higher the reward they get. Other available receipt samples and templates that you can view and download on our website are sales receipt samples and templates and company receipt samples and templates.